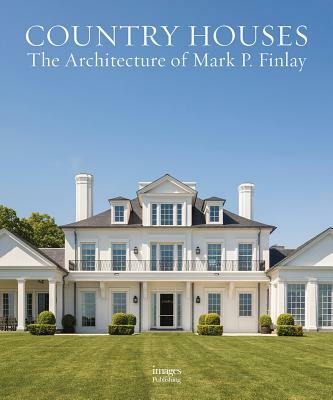 -Features an autobiographical account of Connecticut-based architect Mark P. Finlay's heritage and historic overview of his 30-year design practice -Provides compelling and intimate illuminations of Finlay's process on 12 beautifully designed country residences -Showcases how Finlay navigates both environmental and historic contexts, as well as his respect for tradition and deep knowledge of classical American architecture -Detailed descriptions delve into how Finlay designs "from the inside out," which involves also getting inside his clients' heads to give physical form to their intangible desires, turning their hopes and dreams into granite blocks and limestone coping, cedar shakes and plaster molding -Includes stunning full-color photographs, and detailed sketches, diagrams, and plans What sort of home would you create for yourself if you could build whatever you wanted - if money, as they say, were no object? Over the course of his firm's 30-year history, American architect Mark P. Finlay has been in the rare, privileged position of helping clients answer that very question. Designing dream homes for some of America's wealthiest and most sophisticated families - people not only of great means but of tremendous taste - Finlay creates properties that manage to find intimacy in even the grandest of spaces and grandeur in their intimate moments. Even in his luxurious residences, a certain subtle elegance and graceful simplicity reign. Finlay works in the United States' most storied pastoral locations - coastal New England, Virginia horse country, the Rocky Mountains, the South Carolina lowlands - making homes that lay lightly on the land no matter their size. Whether historic restorations or ground-up constructions, his attention to detail and focus on fine craftsmanship make the buildings look and feel as if they've lived on their sites for centuries. An absolute must for readers designing their own dream homes - and anyone who has ever indulged in the guilty pleasure of trying to get a glimpse of a hidden estate by peering through tall privets or over picket fences - this monograph grants exclusive access past the stone walls and beyond the guardhouses of affluent communities across the country. It invites readers into the manicured gardens and perfectly proportioned spaces of his clients' houses to tell the stories of these properties, illustrating Finlay's particular passion for creating residences that not only telegraph a distinct sense of place but also convey a unique appreciation of, and understanding for, their owners' aspirations.